We’ve all been there: in the store, looking for the item we need, at the mercy of an unhelpful attendant. This scenarios rings especially true if you’ve ever had to shop for parts for your car. That, however, is not the case with the auto parts team at Hudiburg Toyota. 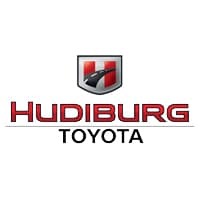 They’ve been trained to know what makes your Toyota Camry, Corolla, Sienna, Tundra or RAV4 tick, meaning they can locate the part you need without breaking a sweat.As for how we can save you money: Hudiburg Toyota regularly posts new auto parts specials, specifically tailored to the needs of drivers from Oklahoma City, Norman, Edmond and Moore. That means the part you’re looking for just might be on sale. And we all know that the only thing better than finding what you’re looking for is finding it at a lower price than you thought it would be. Of course, the first step in letting Hudiburg Toyota help you find the part you’re looking for is filling out our online order form. Or, if you prefer a more direct form of interaction, come see us in person at 5800 Tinker Diagonal in Midwest City, Oklahoma today.